Buffalo groove rockers Aqueous will be making their Town Ballroom headlining debut this New Year’s Eve. 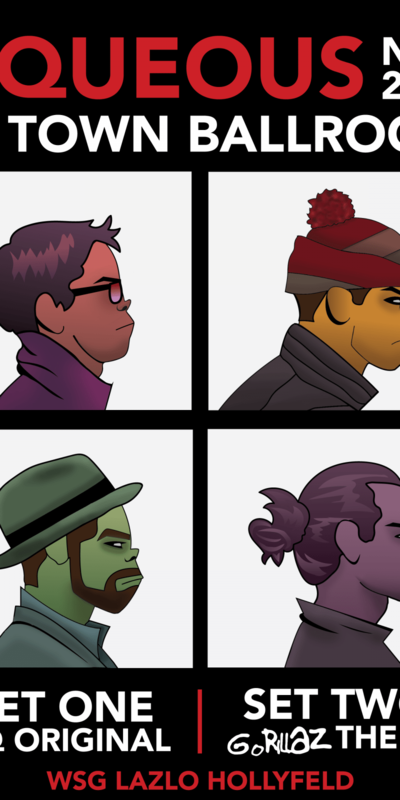 In anticipation of the evening, the Buffalo based quartet has announced that in addition to their own catalog, they will be dedicating a set of music to the English virtual band, Gorillaz. 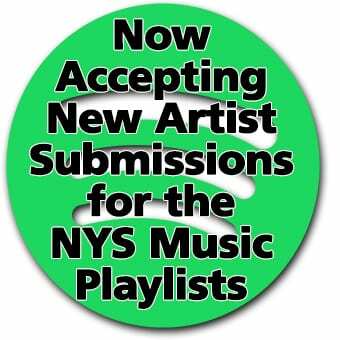 Buffalo post-rock art band Lazlo Hollyfeld has been added in support. On Thanksgiving eve, Ganzter stopped by the Lazlo Hollyfeld annual Thanksgiving Eve show for an unannounced sit-in. 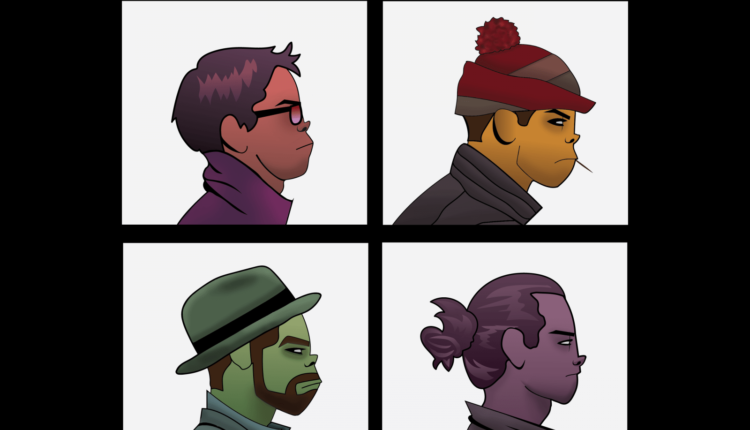 Besides their own unique brand of musical stylings, Lazlo Hollyfeld is also known for their perfected tribute sets, including performances of the Talking Heads, Radiohead and most recently, Arcade Fire. Aqueous is currently finishing up a nearly three month tour of the greater United States before retuning home to celebrate the New Year with their hometown fans. AQ will kick off 2018 with performances on Jam Cruise as well as tour in support of Papadosio for recently announced dates in February and March. 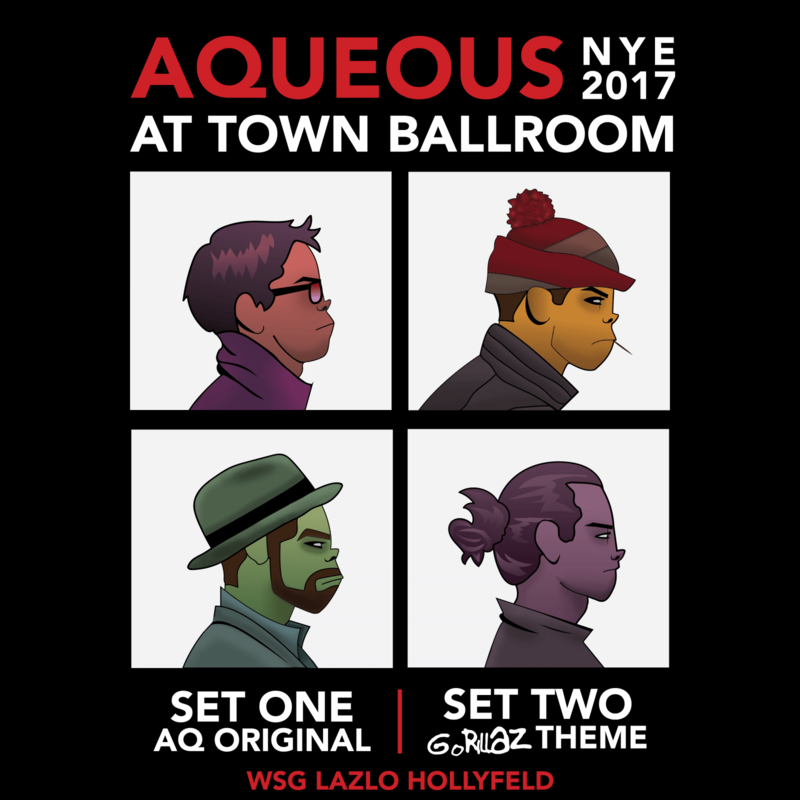 Tickets for Aqueous’ NYE bash at Hometown Ballroom are $20 in advance and are still available.